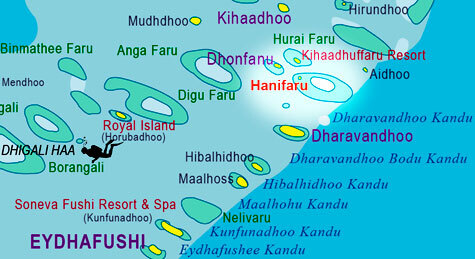 Hanifaru Bay, home to a large numbers of whale sharks. Hanifaru in Baa Atoll, is an uninhabited island with a natural underwater bay -locally known as ‘Vandhumaafaru Adi’– famous for whale sharks. The bay, known to divers as ‘Aquarium’ is home to a large numbers of whale sharks, grey sharks, manta rays and sting rays, is also a nursery for these species. 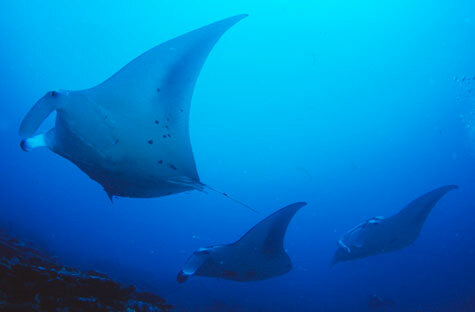 Hanifaru Bay, nursery for a large numbers of manta rays and sting rays. It is believed to be ‘one of the very few places in the world where whale sharks congregate to mate.’ Divers might have known the bay very recently. However, the fisherfolks of Baa Dhonfanu and other nearby inhabited islands had known the place for centuries, not as a dive spot, but as a whale shark fishing point; whale sharks, caught for their liver oil and/or fins, used to be an important source of livelihood for them. Hanifaru Bay, one of the very few places in the world where whale sharks aggregates for mating. 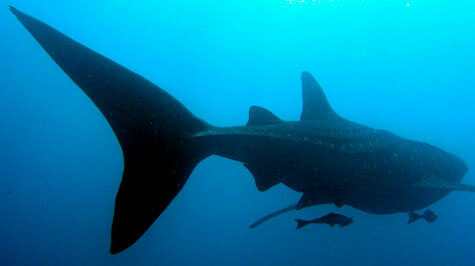 The Ministry of Fisheries and Agriculture, in June 1995 imposed a ban on all fishing, capturing or the taking of whale sharks under the Fisheries Law. Whale shark is also listed as ‘vulnerable’ by the International Union for Conservation of Nature and Natural Resources (IUCN). The Maldives is a party to the Biodiversity Convention, Cartagena Protocol on Biosafety and UNESCO Convention Concerning the Protection of the World Cultural and Natural Heritage. Under these treaties the Maldives has obligations to ensure the conservation and protection of habitats and species in both national and international context. It is a sad irony that the Fisheries Ministry, which is empowered by the Fisheries Law to establish special sanctuaries, has recently leased Hanifaru to a private party on a long term basis, to be developed for industrial purposes. Furthermore, the island was not put on tender, and no Strategic Environmental Impact Assessment (SEIA) was done. Hanifaru Bay, home to a large numbers of sharks. Any industrial activity on Hanifaru will upset the fragile ecosystem of Vandhumaafaru Adi. This ecosystem, vital for the aggregations of whale sharks for mating, is a unique natural habitat and one of the very few such places in the world. It is imperative that this bay is protected from human encroachment and declared as a whale shark sanctuary. At times i feel its useless to talk about these issues. Simply because i know these issues will fall into deaf ears. I think we have to accept the truth that we, the maldivians, are hypocrites when it comes to environment. We talk about how vulnerable we are as a nation in international conventions, conferences and meetings on environment and the very next day we start a project that will destroy our environment such as land reclamation, dredging harbours just to name a few. And people say jews are hypocrites but i think they actually learned their trade from us. I cannot understand the need to reclaim land to build resorts when we still have so many uninhabited islands. I guess its time we do one or the other, either stop talking about our environmental vulnerabilities or factor in environmental impact into our decisions. god save us!! errr..just for once, lets not leave it to god alone lets save us ourselves..
Gayoom’s real character is seen with such actions. He is a man who trumpets about the environment whenever he gets an opportunity, but on the ground, here in this delicate environment of the Maldives he is an environmental terrorist. I’m new to your discussion, but here are some words of encouragement….from the blog of Roz Savage. So our causes are ultimately condensed to doing what is right and moral (and human) and that fight will never end. I love your blog. on 1st August 2008, i have captured several mantas and a whale shark on video in Hanifaru. it was an amazing experience to see all thes creatures with my own eyes. any development here will definitely ruin this place. this area has to be totally protected. if anyone is interested in seeing this video clips, pls contact us. we will also post them on our website very soon. how about where Mr. Gasim is building the airport at Ari Atoll, Maamingili. This area is one of the places whale shark frequents regularly and also one of the best dive sites for some tourist like the Japanese market. The whole area is destroyed coz of the reclamation for Mr. Gasim’s airport, now whale sharks rarely frequent to this area but will Mr. Gasim or the government cares about this…. I don’t think…so let’s just wait and see what they will do to Hanifaru Bay. Make a plan and let us know………..lets have a blue peaceful ihuthijaaj as we call it. we talk about environment on foreign stages and get awards. time for change. No more Vandhoo Maafaru but still we are under those treaties and convetions. Maldives still ensure the conservation and protection of banded species, both national and international level. Destroying their environment does not mean killing the species. This is how I keep the conventions and treaties. Hanifaru was given to Thaa Atoll MP Shareef as part of a deal to get his vote. Shareef is supposed to be a honourable member in the opposition! Hi guys – glad to see such an interest in preserving Hanifaru for its importance as a manta and whale shark feeding area. My name is Tim and I have been studying whale sharks in the Maldives for the past few months – I’m based at Four Seasons Landaa Giraavaru, which is very close to Hanifaru in Baa Atoll. Hanifaru itself isn’t a whale shark mating area – in fact science does not yet know where these huge sharks meet to reproduce – but it is an important feeding site. Whale sharks move seasonally within the atolls, and many visit Baa between May-October to feed on tiny planktonic organisms, such as krill. Hanifaru lagoon acts like a net and traps this planktonic food, and sometimes – depending on the tide and the moon cycle – water is literally thick with food. This is when whale sharks arrive to feed, often accompanied by hundreds of manta rays. It is an amazing spectacle, and Hanifaru should be protected to that all future generations can witness it. I will be writing an extended article for the Bluepeace site discussing my research in more detail, and some highlighting some major threats to whale sharks here in the Maldives. I have been coming to the Maldives along with extended family and friends for over 10 years now and we have been staying at a number of different resorts enjoying Maldives’ hospitality and unique water world..
We are keen nature lovers, this is a major reason for us visiting the Maldives, and have been watching wildlife such as Manta Rays, Whale Sharks and more constantly on every of our many visits to this country. If the Maldives Government is so ignorant and short sighted to try to make fast money from destroying the environment, its citizens should raise up and action not only with a public outcry but in ousting all these corrupt Government officials who don’t care about the future of the country. I for my part, along with many friends and colleagues in the travel industry will actively inform International Press and Tour Operators of this sad state of affairs in the Maldives! And President Gayoom wants the Nobel Peace Prize for his contribution to the Protection of the Environment! Is there anything we can do to stop Hanifaru’s development going ahead? Is there anything we can do to stop or change the decisions being made at the cost of our delicate and unique environment? Are there any petitions being sent around to oppose this action? How informed are the general Maldivian public on this issue? We can’t just throw our hands up and complain about how hypocritical and corrupt our government is. That’s exactly what they (the decision makers) want us to do – feel helpless and hopeless to change the situation. We are letting ourselves down by doing nothing!! Like Peter Martin has pointed out in his comment, we are so reliant on the tourism industry and our environment – if we lose our fragile ecosystem, it not only has grave implications for the whale shark population, but also for our own existence as we know it! Bluepeace, please feel free to email me. I’m happy to discuss ideas and actions with you about how to bring some change. It sounds like there’s research and experts in the field who might be help back us up in our efforts to make people understand the reality and the immenseness of the situation…I don’t know much, but I am so afraid for our future and I am passionate about changing the way there’s so little regard for our environment! Thank you for your efforts in raising environmental issues in the Maldives. I work in the Maldives on a liveaboard, and over the 4 years been out in the Maldives i have had the pleasure of been in Hanifaru to see both the Whale Sharks & Mantas feeding. I feel very strongly about the Maldives Government even thinking of developing this area, we have enough to hope with in Maamagili. 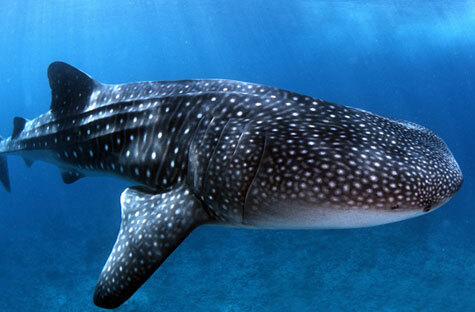 This sight should be fully protected, and to have the Maldives be a big part in helping PROTECT the whale shark . This area is a perfect place to study the Whale Sharks. Why not put the Money instead into better use Re: education for both locals and tourist about the Whale Sharks and Mantas and doing talks around the many resorts in Maldives. I love working and diving in the Maldives but feel the local government is not doing enough to protect there sea of Shark fishing and now this in Hanifaru. I can honestly say i’ve seen a big drop in Shark sightings around the Maldives over the time i’ve spent in the Maldives, which is very upsetting for both myself and my guests. Come on Maldives move in a positive way and actually PROTECT what you have got rather than just talk!!!!!!!!!. its amazing what they say happens and goes around at hanifaru.. just saw a bit today..today for the first time jumped over there for a swim and was amazed.. saw a few mantas while swimming.. it was a few among many sited in our boat ride …sad it might soon be over…its not just ours only .. we sud ensure that its a passed on to our generations to come..The significance of the area. The unique environment with its biodiversity sud be protected. We have many places sanco shareef can do industrial work not on the one out of the two known places for e whale shark cleaning and sitings of large amount of mantas. I think it’s about time us Maldivians protested about something other than politics. We need to take a stand for this beautiful nation. Most of us have no idea how lucky we are. I’ve forwarded this issue to TUI… I want them to pressure from an international side… like Mohamed Hamza said: DIVERS etc. Divers unfortunately can destroy a lot (I’m surprised that most of the divers I went with have no idea of buoyancy control or know what is alive and what is dead)… but on the other hand they’re really important in terms of protecting a dive site……. how can you trade such beautiful like the whale shark and the manta for industrial s***?!.. people love to dive and love nature as it is, sow keep that and don’t build a city! I just read this blog and was wondering if Hanifaru is now protected again, or if the development went through. It’s so hard to believe that your government would allow this place to be destroyed while the presence of mantas and whalesharks are a mayor tourist attraction and thus a big source of income for the country? How soon will you update your blog? I’m interested in reading some more information on this issue. Very cool stuff above on this site. Did anyone catch this? It was pretty cool. About Steve Alten and his new book Hell’s Aquarium. Why not make an online petition and try to get as many signatures as possible? Those can then be presented to the Ministry of Environment (or something like that) and they HAVE to think about it once more. …or is this my European way of thinking that is too wishfull…? Management of Hanifaru in Baa Atoll,an uninhabited island with a natural underwater bay -locally known as ‘Vandhumaafaru Adi’- famous for whale sharks has been handed over to Baa Atoll Council on 15 July 2011 by Environment Protection Agency of the Maldives. The Area was listed as protected in 2009 by the Government of Maldives after growing pressure from environmental activists and now is part of the UNESCO Biosphere Reserve in Baa Atoll which came into being on June 2011. Bluepeace has campaigned hard for the protection of Hanifaru read our article @ http://www.bluepeacemaldives.o​rg/blog/biodiversity/whale-sha​rk-mating-area-leased-for-indu​strial-site at our blog which appeared on August 2008. Thank you so much for doing protecting our reefs,fishes and everything . Climate Change Pushes Maldives into Uncharted Waters; Ecosystem-based Adaptation is Imperative for its Survival. MALDIVES ALLOWS HARVESTING OF ENDANGERED TURTLES EGGS: Isn’t it the High Time Maldives Outlawed all Marine Turtle Egg Consumption.